This product is like no other on the market! 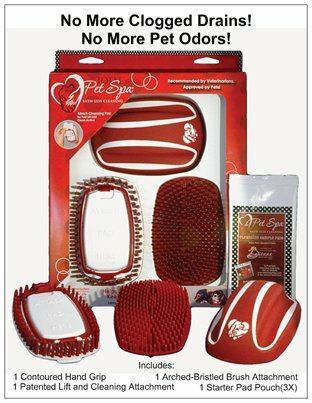 It allows pet parents to keep their pets clean without having to give them a bath. There’s no water and less stress. Less mess saves time. Thick cleansing pads are made from a special woven material that’s used in the cosmetic industry. Each pad absorbs and holds 5 times more solution than a regular pet wipe.